As If Apart, the long-awaited sequel to Chris Cohen’s 2012 soft psych garden of unearthly alter-pop earworms and studio-sonic delights Overgrown Path, follows on its predecessor with another bittersweet ensemble of dreamy, complex songs. Pushing the idiosyncrasies of Cohen’s melodic and rhythmic approach into even more fractured, shifting spaces, As if Apart unsettles lazy pop conventions, upending jaded heads and hearts with an expansive, moody psychedelia. Where Overgrown Path plunged within, As if Apart voyages out. And up. Sometimes as a leader, sometimes as a sideman and collaborator; sometimes as an invisible musician but you’ve heard him: the chest-high bass drum thump, the tightly paired flight of guitars in odd harmony, the disorienting shift in time and texture that resolves itself into song. 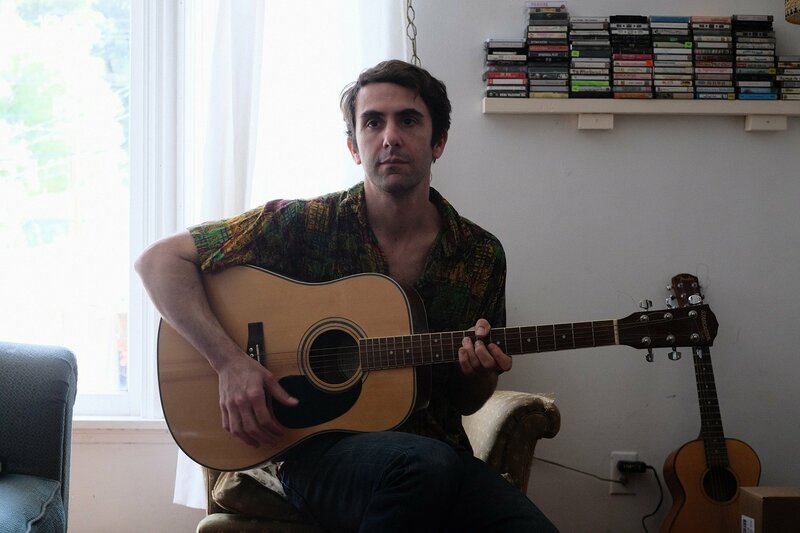 Chris Cohen has plied the inside and outside folds of pop musical possibility since at least 1978, when he first set infant drumstick to skin at the tender age of three, initiating decades of sonic experimentation across multiple bands and nearly a dozen recordings. Cohen’s songwriting isn’t so much disjunctive as subjunctive, asking “what if,” playing against the expected and building suspense, breaking like waves or the patterns at the edges of things. Chris makes music with the patience of a gardener: he went out and collected a backyard’s worth of thorny succulents, took them home and cultivated them like so. They are modular plants — cut one little piece, stick it in the ground, give it time. Come back and find it branching, breaking and replanting itself into tangle and form. You notice yourself changed too. To say that this is how pop music should have turned out would be nostalgic — a misapprehension of time, pop, history and our place within those structures — what we could say is that this is how pop music has turned out alongside itself — how it has become beside itself – as if apart.